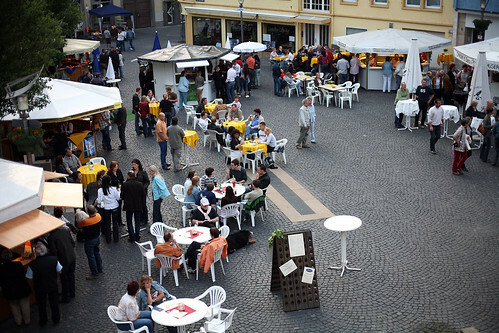 Sektfest - a sparkling wine festival in Bingen. We had no idea this festival would be on the day we happened to be here, so it was a happy coincidence. The whole thing was in this little courtyard, and was almost entirely locals from the small town.